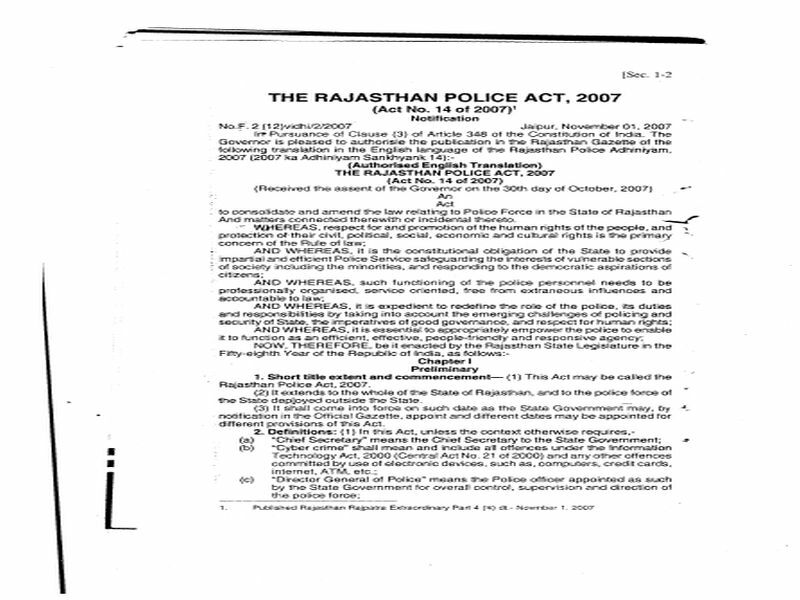 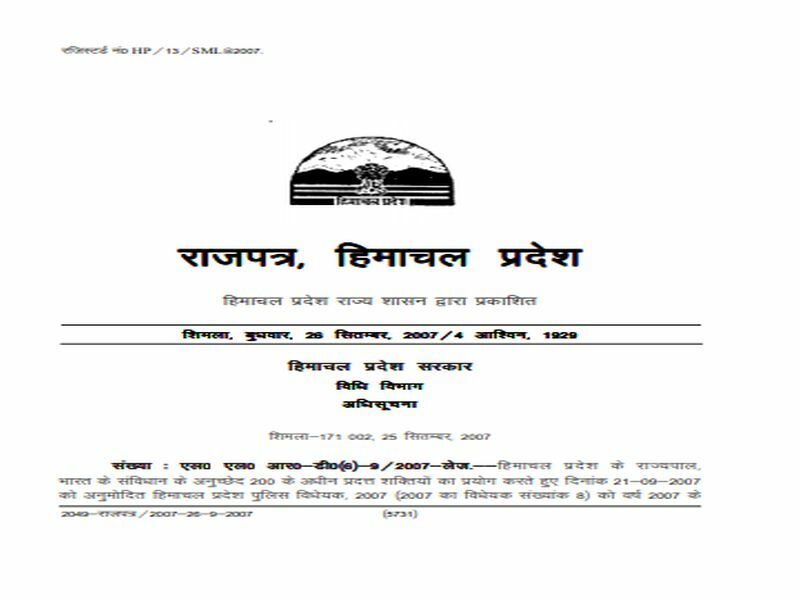 An Act to consolidate and ament athe law relating to police force in the state of Rajasthan and matters connected therewaith or incident thereto. 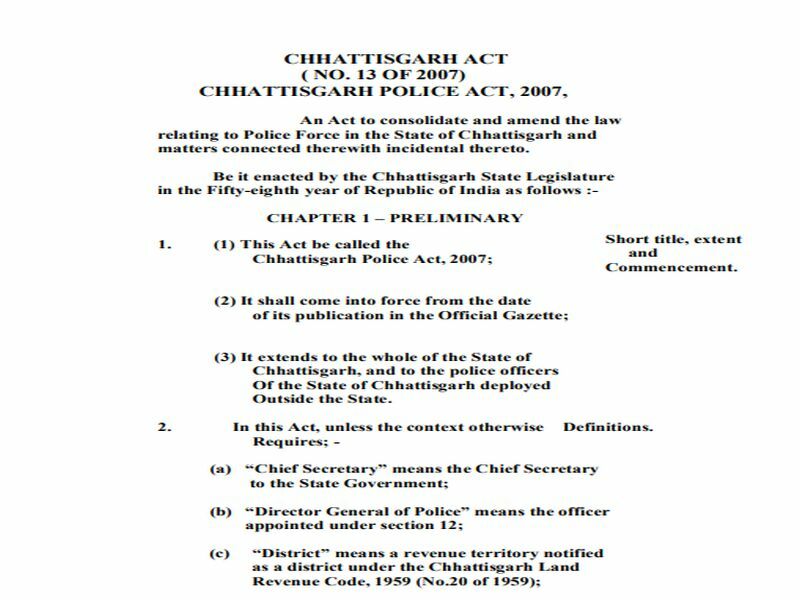 An Act to consolidate and amend the law relating to Police Force in the State of Chhattisgarh and matters connected herewith incidental thereto. 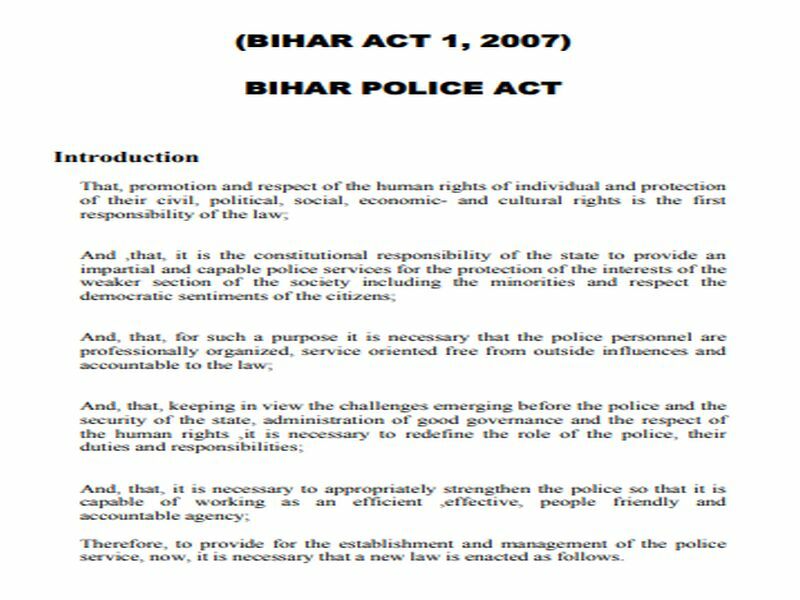 That, promotion and respect of the human rights of individual and protection of their civil, political, social, economic- and cultural rights is the first responsibility of the law. 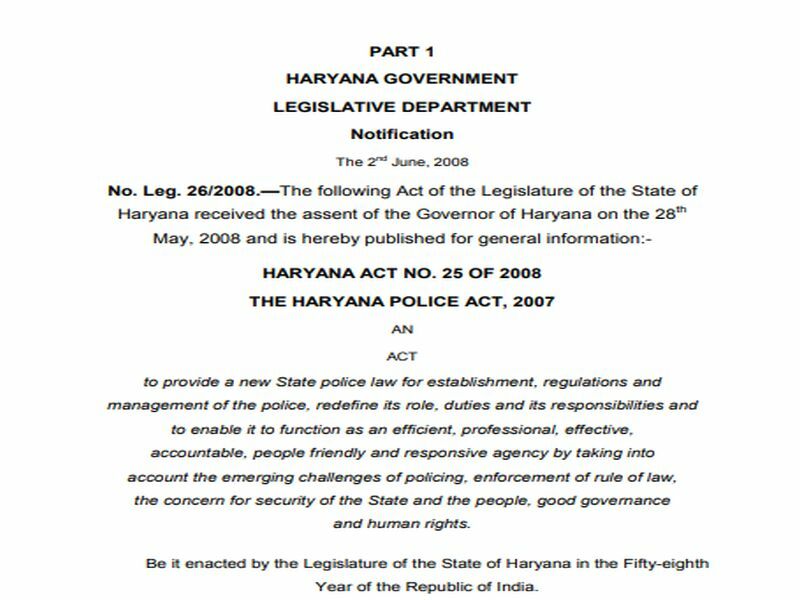 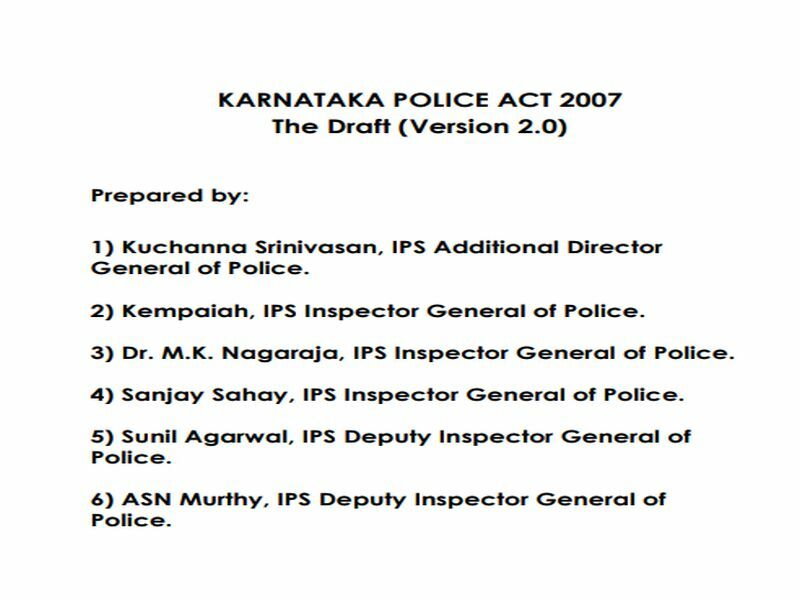 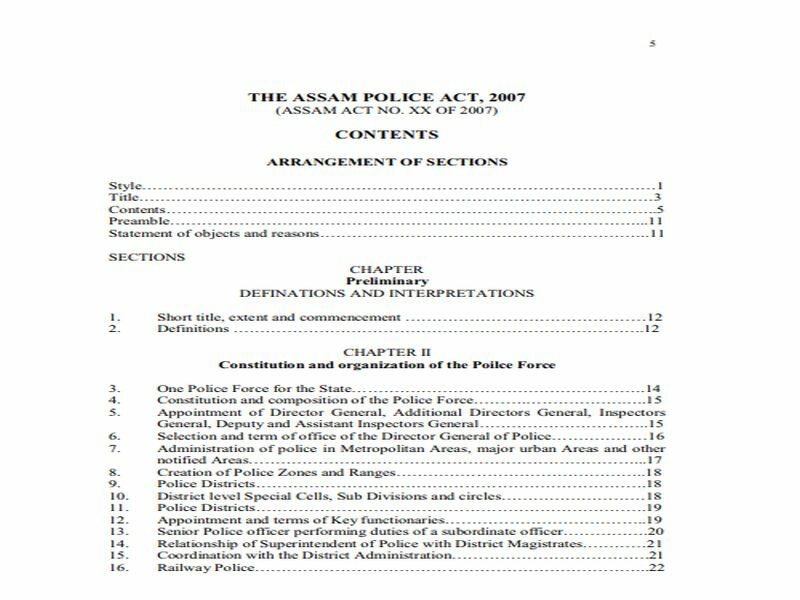 To provide for impartial and efficient Police Service safeguarding the interests of the people making the Police Force professionally organized , service and accountable to the law. 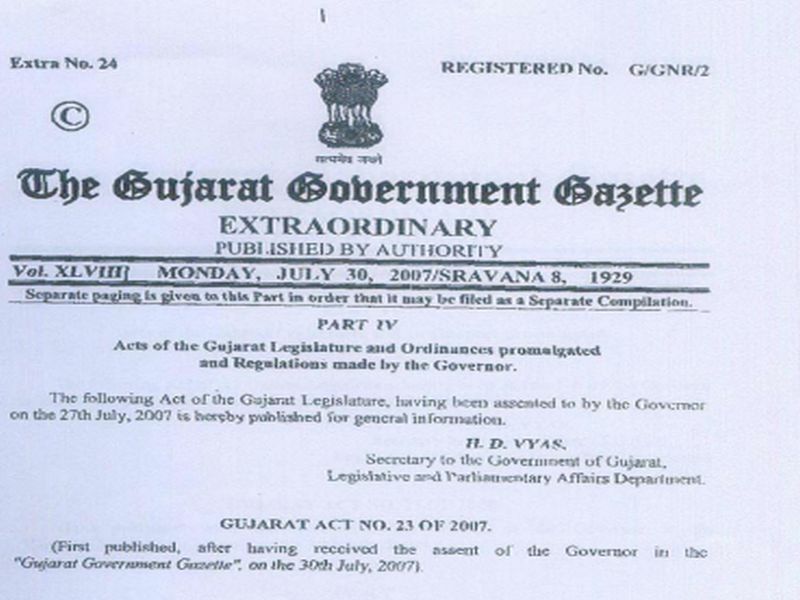 This following Act of the Gujarat Legislature having been asscnted to by the Governor on the 27th July 2007 is hereby published for general informations.